Reflective Inc. – In Business for 22 Years. Self Adhesive, Flexible, Peel and Stick Reflective Panels. Welcome to Reflective Inc. Chevron Panel Information Site. 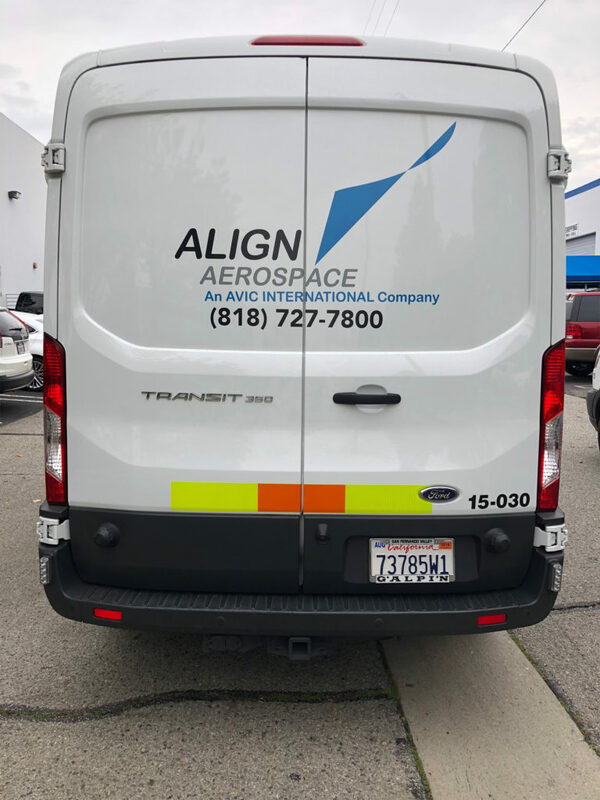 We are experts in vehicle visibility and conspicuity. We are your trusted source for day and night protection against collisions. 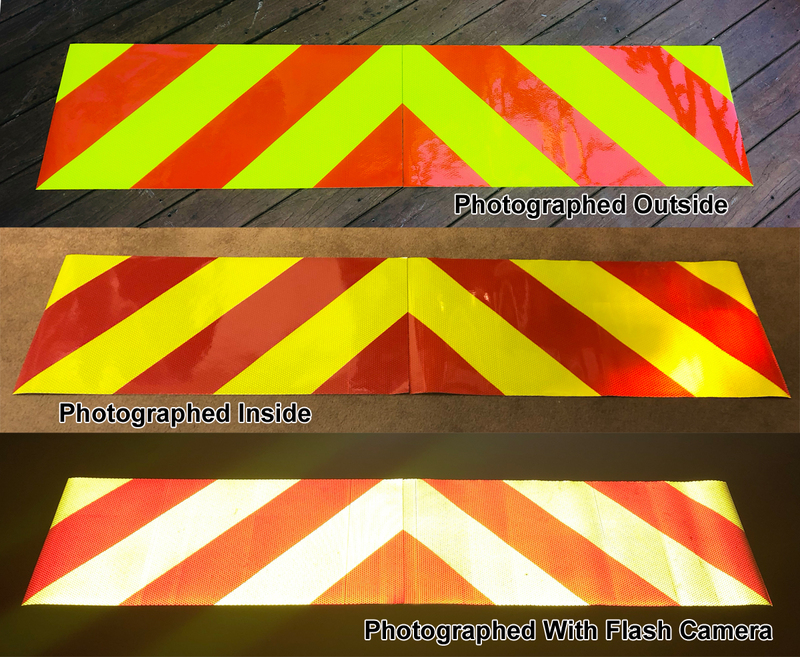 The purpose of this site is to provide you with additional information, specifications, pictures and videos of our line of pre-made reflective chevron panels. The panels can be purchased on our commercial site at www.chevronpanels.com. 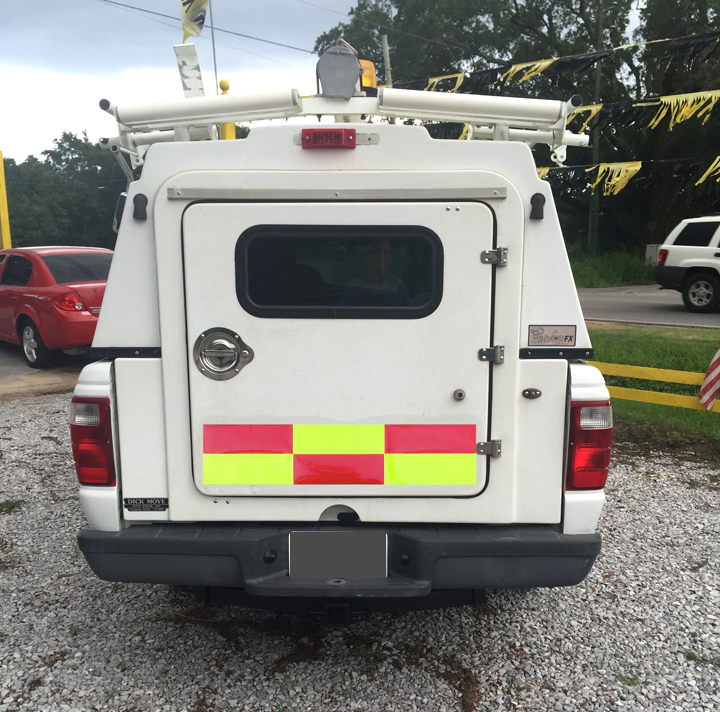 To see our image gallery with pictures of chevron panels on vehicles “click here”. 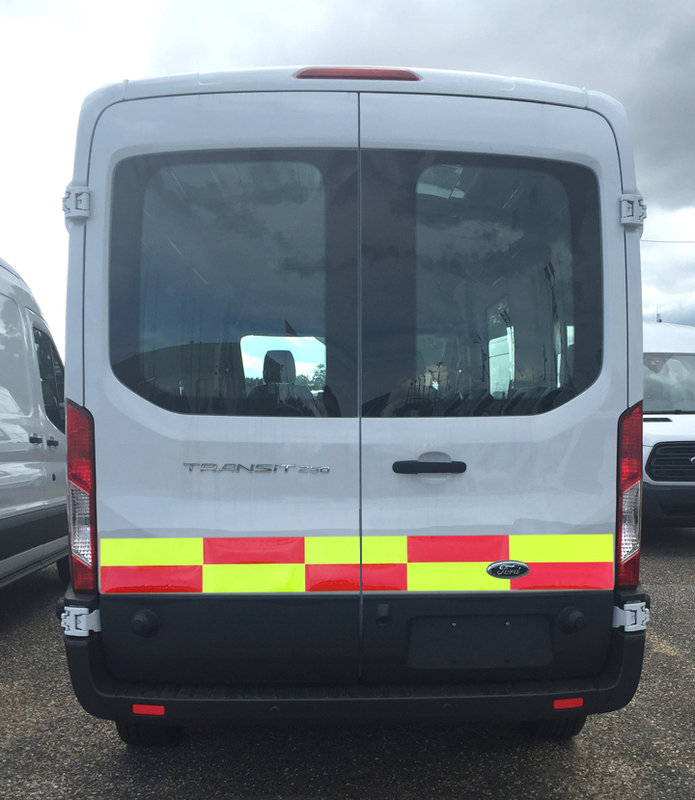 Studies have shown that the use of high visibility reflective markings on a vehicle can reduce rear end collisions from 15% to 41%. The percentage increases as the visibility increases. Selecting the right intensity and color for the panels is an important factor in how effective they will be. Fluorescent Lime Yellow and Red or Fluorescent Lime Yellow and Orange are consistently ranked the highest for visibility. The Battenburg Pattern (see below) is very popular and effective in Europe. 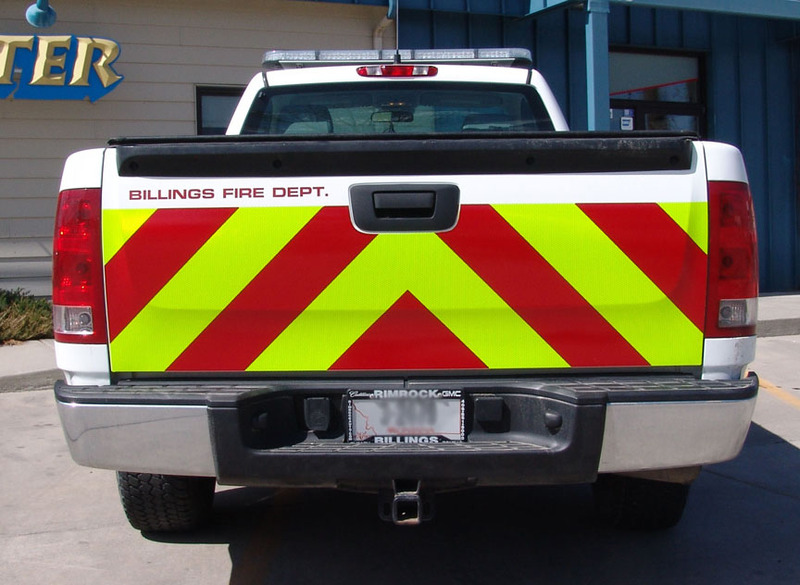 It is made with various colors and is used on non Fire (NFPA) vehicles. Our two piece (left and right slant sections) chevron panel kits are more affordable and easier to apply. Simple apply the left and right slant panels to create the design. Clear seam tape is provided to protect the middle seam. 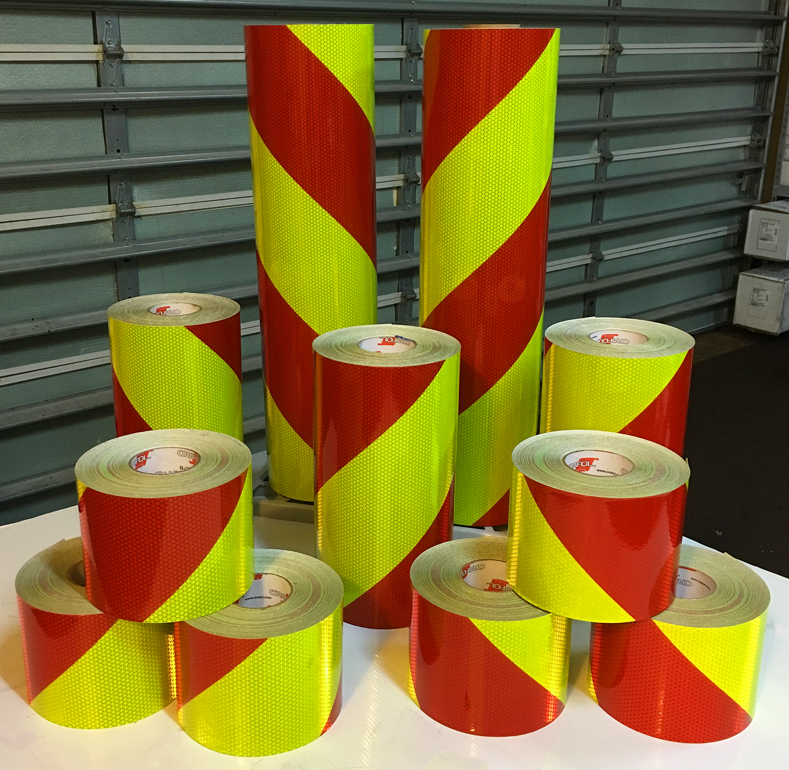 Click to go to our main Reflective Tape Store. All information on this site is written by Steven Cole. 22 years of experience in the safety industry. Education – Economics, MBA.